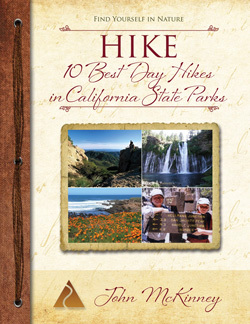 Think “Hiking Guide” and John McKinney and most friends, family and fellow hikers think of my guidebooks. Makes sense. 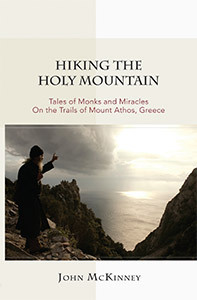 I’m well known for my hiking guidebooks, and I sure have written a lot of them. 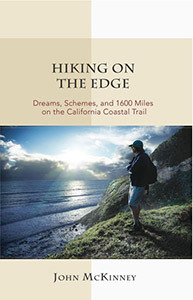 A small but growing number of people, though, know me as a “Hiking Guide” in another sense of the word: I guide walkers and hikers along some of the most captivating pathways in California. I’ve led walks and hikes for many years now, and I love doing it. I began guiding during my college days when I led the USC Hiking Club on outings. After that I led Boy Scout troops, church groups, school kids, conservation organizations, individuals and private groups on hikes. Get an insider\’s view of Santa Barbara on one of John McKinney\’s guided Santa Barbara walks. 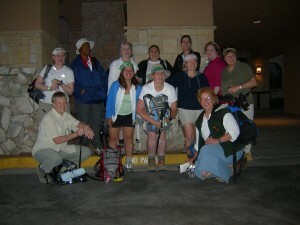 In 1999, I signed on with The Wayfarers, an upscale walking vacation company based in England. The company wanted to expand into the North American market and asked me to design and lead walking tours. I learned from the best—Wayfarers founder Michael West—about what makes a great walk and what makes a great walk leader. I joined some Wayfarers walks in England and Scotland and observed some of England’s top professional guides in action. Returning to the US, I strived to combine the best traditions of American and European guided walks. 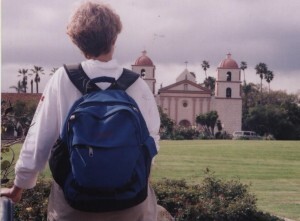 My favorite places to lead walking tours are north of San Francisco in Point Reyes National Seashore and around my hometown of Santa Barbara. Learn more about my Santa Barbara Walks and Hikes in the lovely mountains, along the coast and in the Santa Ynez Valley Wine Country. I’d love to have you join me. 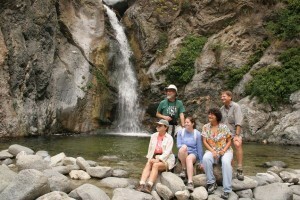 John McKinney (top R) led the KPCC Hiking Club to Eaton Canyon Falls and many more natural attractions around SoCal. One of my favorite groups to lead was the KPCC Hiking Club. 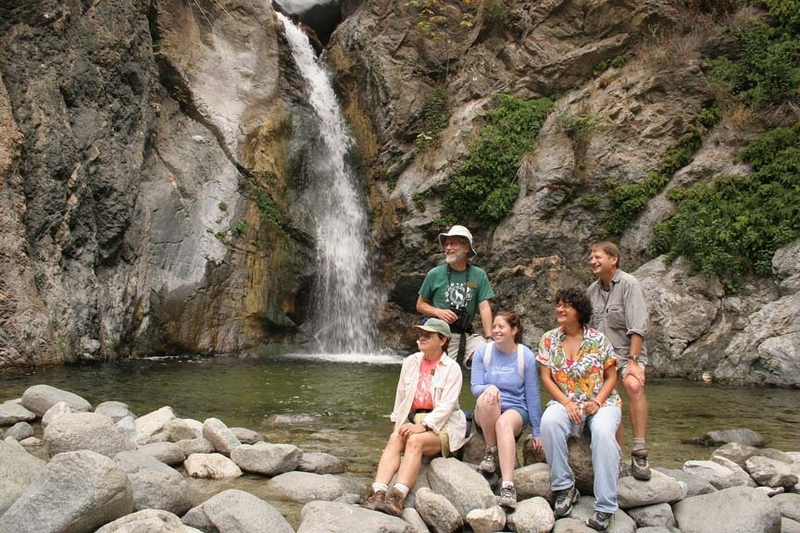 High-level members of the Pasadena-based NPR Station joined The Trailmaster on monthly hikes in locations around Southern California. We had great fun together exploring the Hollywood Hills, Malibu Creek State Park, the San Gabriel Mountains, Orange County, Catalina Island and more. Another group dear to my heart is the Leukemia & Lymphoma Society. I served as National Hike Leader Advisor for “Hike for Discovery,” part of the LLS Team in Training Program assisting participants to train for and go on memorable hikes (i.e. Grand Canyon, Maui) and raise money for cancer research. I helped write curriculum and training manuals for hike leaders and participants nationwide and conducted weekend training seminars for hike leaders. Grand Canyon Adventure! 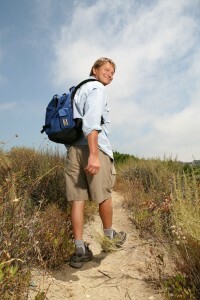 Take a Hike with LLS and raise money for cancer research. I highly recommend taking a hike with this great organization and supporting this very worthy cause. The training hikes, held in locations all across the country, are a great way to learn about hiking and get to know fellow hikers. And the hiking events themselves are definitely experiences to cherish forever.